Carpet continues to be one of the top choices in flooring among homeowners alike. It is the perfect combination of style, comfort, and warmth all in one product. It features unmatched comfort and characteristics that no other flooring can replicate. At Carpet Interiors Carpet One Floor & Home in Oakland Park, IL we carry a wide selection of carpets to choose from like name brands as well as Carpet One Floor & Home exclusive brands such as Tigress® or Relax, it’s… Lees®. We can match you to the best carpet for your home using our unique Select-A-Floor system, which matches you to a carpet that suits your lifestyle while offering our award winning warranties. We have carpets that are perfect for homes with an active family, and carpets that are designed for families with pets in the home. Your lifestyle can help determine the type of carpet you need for your home. Before purchasing a carpet, you should consider factors such as your lifestyle as well as your weekly cleaning routine. Characteristics such as pile styles, fibers, and the backing all play important roles in how a carpet would function in your home. Carpet is more durable than most think, it can stand up to stains, and can be made to be resistant to fading and wear. We offer carpet for even the most active homes, with superior stain, wear and fade resistance. That means you can live your life on your carpets almost worry free. Carpet fibers play a major role in how stain resistant and durable a carpet can be. We have carpets with synthetic fibers like nylon and polyester, and we also offer natural carpet fibers such as wool. Wool features several amazing character tics like being hypoallergenic and easy to clean. The most important thing you need to do is choose the right type of carpet. There are five main types: level loop, patterned, textured, frieze, and plush. Typically homeowners choose to install carpet in bedrooms, dens, or living rooms. Evolving technology allows carpet to adapt to new home settings, and there are carpets that can withstand heavy traffic and can be installed in hallways and on staircases. Carpets today are made to stay looking newer for longer, but obviously regular maintenance such as vacuuming and steaming can increase the longevity of your new carpets. Carpet makes your home feel warmer and cozier. As your local neighborhood flooring experts, we want to make sure you find the best carpet for your home. Check out our carpet selection at our showroom in Orland Park, IL and choose which carpet is right for your home! We offer name brands carpets you love in addition to our exclusive brands including Relax, it’s… Lees®, Tigress®, and Innovia™. How to Care for Carpet? Before you begin cleaning, check the manufacturer’s warranty to ensure you use the correct cleaning products. Caring for your carpet over time not only keeps it looking newer for longer, but can also increase its life-cycle. 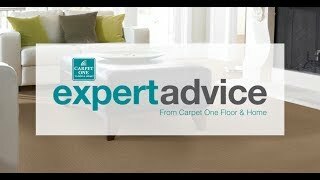 What are the Different Carpet Types? Not all carpet is made the same, just like not all homes need the same types of carpets. Carpet comes in many different types and style for you to choose from. Follow the link below to learn about the different carpet types we offer.